The new ECSAv10 includes updated curricula and an industry recognized comprehensive step by step penetration testing methodology. This allows students to elevate their ability in applying new skills learned through intensive practical labs and challenges. 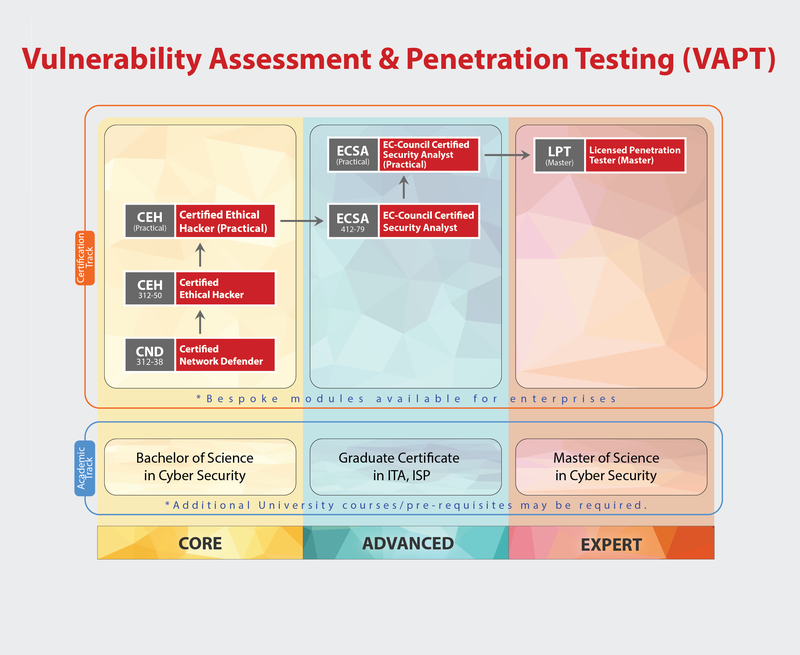 Unlike most other pen testing programs that only follow a generic kill chain methodology; the ECSA presents a set of distinguishable comprehensive methodologies that are able to cover different pen testing requirements across different verticals. It is a highly interactive, comprehensive, standards based, intensive 5-days training program that teaches information security professionals how professional real-life penetration testing are conducted. This course is a part of the VAPT Track of EC-Council. This is a “Professional” level course, with the Certified Ethical Hacker being the “Core” and the Licensed Penetration Tester being the “Master” level certification. In the new ECSAv10 course, students that passes the knowledge exam are given an option to pursue a fully practical exam that provides an avenue for them to test their skills, earning them the ECSA (Practical) credential. This new credential allows employers to validate easily the skills of the student. What’s New in ECSA v10? Ethical Hackers, Penetration Testers, Security Analysts, Security Engineers, Network Server Administrators, Firewall Administrators, Security Testers, System Administrators, and Risk Assessment Professionals.